Magic Explosion is a small plugin that when you right click on a block with a feather in your hand, it will create an explosion. You just have to right click on a block with a feather in hand and boom ! CreateFire: "true" or "false" When you use the feather, determines if fire appears with the explosion. LogExplosions: "true" or "false" Log explosions in the console. AutoUpdateOnLoad: "true" or "false" Check for an update and download it. 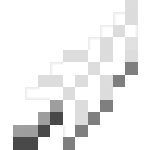 magicexplosion.player.usefeather : Main permission which determines if a player has the right to use the magic feather. For a faction server, can you stop players using this on an enemy/neutral faction land because i'd like to use it as a donation perk on a faction server.